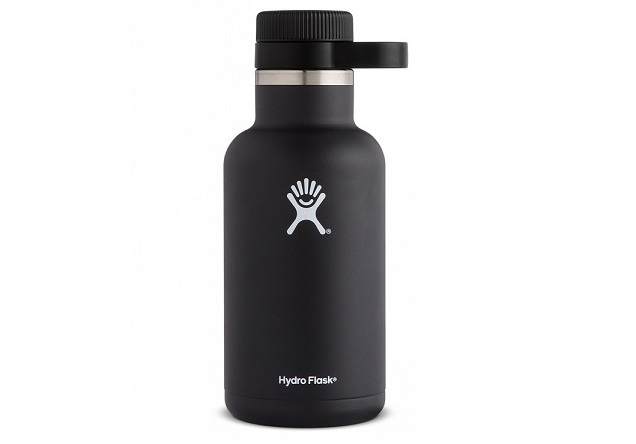 Last month we checked out our first ever Hydro Flask, an insulated water bottle made from tough stainless steel. The specific kind we reviewed was the 21 oz bottle, which is big enough to take a big glug of water with you on your travels. However, Hydro Flask really upped their game recently when they sent us something slightly bigger: the 64 oz Growler. For all intents and purposes this is pretty much the same product as the water bottle. It features the same insulated, vacuum body, a screw-on top that seals exceptionally well, and a non-slip outer coating that comes in lots of different colours. Its just that this bad boy is more than three times bigger (and so also features a carry handle on the neck). 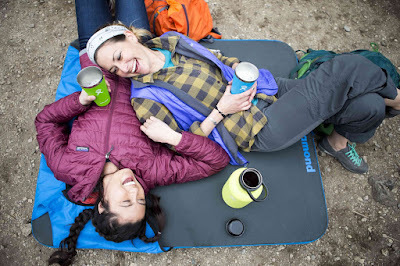 The Hydro Flask Growler is designed to convey beer and ales with you while camping or trekking, and its a bloody great idea. 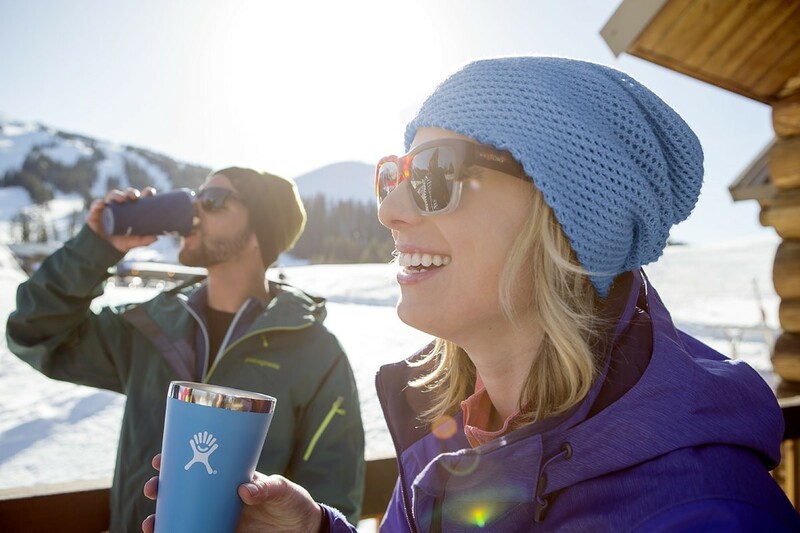 If you've ever taken bottles or cans of beer with you camping, you know the real issue is keeping them cold. Sure, you can stick 'em in a cooler filled with ice or gel packs, but that then becomes very heavy and completely impractical if you're hiking anywhere. The Hydro Flask Growler keeps the beer cold inside the insulated body, and lets you stick it in your pack or hang it from the outside. Easy. 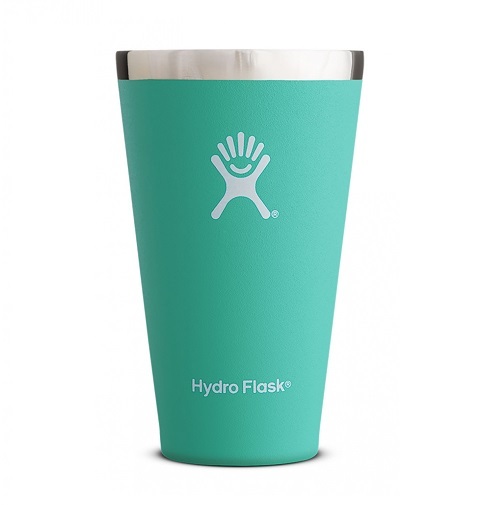 The lid screws off to reveal a nice and wide opening, so its easy to pour, and it features a protruding neck which allows you to hold it steady while doing so. The seal on the screw is so good that lager will stay carbonated for hours, while the insulation seemed to keep temperatures low for up to a day. Basically, if you fill it with cold beer in the morning, it will still be fresh and chilly that evening. But what are you going to sup your ale from? Well, Hydro Flask were also kind enough to bung us a couple of the their 16 oz 'True Pint' cups. These are made in just the same way as the growler and the water bottle, but don't have sealed tops. So when you pour your beer into them, the heat from you hands won't warm the liquid and turn it tepid while you drink. The True Pint cups are sold separately, but we thought that bagging a couple while you get your Growler makes total sense, especially if you don't already have insulated cups (and because they match). The two we were sent slot into each other well, so they don't take up much space. So there you go. Just like the Hydro Flask water bottle, the Growler simply works. Think of it as the biggest flask you've ever owned, and as we move into the summer months and camping and hiking trips are planned (we'll be taking a few ourselves), this is the best way of taking your favourite ale with you. Just don't get completely pissed, eh?